As the children grow and start leaving home many parents enjoy the thought of having all that extra time for themselves with no more toys to pick up, or trip over, no more endless piles of laundry, and no more supervising those endless summer pool parties. The family home is now too big for you and your partner so you have decided to look at other Pebble Beach homes for sale; Perhaps something a little smaller that will be more comfortable for you as you grow older. The big decision now is whether you should buy or build that new home. You want a home that will be more suitable for you, one where you can continue to live comfortably as you age, where you can easily manage the house and yard work. With the children gone do you still need a two story house and all those stairs? Is a large backyard necessary and worth the amount of time and labor it will take to upkeep? Whether you decide to build or buy you will want to make sure that your next home has all the features that will ensure your greatest comfort. A pre-existing home may seem more economical but will it provide you with all the specifications and features you desire? Are you willing to just settle for some of those features and renovate to create the rest or would building a new home be the better solution? Before you start looking at Pebble Beach homes for sale it’s best to make a list of the type of features you want to have in your new home. These features should be ones that will provide you all the comforts and pleasures living on your own once again, and also support you comfortably as you age. 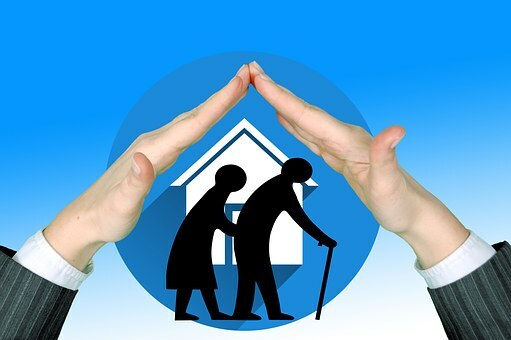 As you age you may find that you will have to deal with certain health issues that will require some adaptations of the home. These adaptations will affect rooms such as the kitchen, bathroom, bedroom, and even the outdoor spaces. Though you may not see the need for the changes now it’s best to think ahead to your future needs. In the kitchen area lowering counter tops and cupboards can help reduce excess strain on the back and shoulders. Installing under counter lighting can help increase visual acuity and lessen the chance of accidental cuts. Other features to consider for the kitchen include a counter top or built in microwave in the island (as opposed to above the stove), a built in dishwasher, a pot filler (lessens the need to carry a heavy pot of water from the sink to the stove top), and a fridge with a bottom freezer section. Your bedroom should provide you with the best possible chance of quiet escape and rest. Aside from having furnishings that are easy to use features such as wider door frames and non-skid flooring should be addressed. Adequate lighting, including floor level to mark doorways, should also be considered. If you still want to enjoy outdoor spaces you will want to ensure access to the space can easily be made whether on your own or with the assistance of a cane, walker, or wheelchair. This means eliminating any stairs or uneven surfaces and wider doorways and walkways. You may also want to consider hiring professionals to take care of any lawn and garden upkeep. Consider accessibility throughout the home. Such things as wider hallways, doorways, and stairways will allow for the use of wheelchairs, walkers, or other mobility equipment, including chair lifts should you ever require them in the future. Lowering light switches and raising electrical outlets will help alleviate the need for excess bending or stretching, helping to reduce any chance of injury. Many children worry about their parents living alone. What if they should fall or hurt themselves? You can ease their worry (and the need for constant phone calls) by installing some sort of emergency call system. As you look through the Pebble Beach homes for sale be sure you are looking in an area that will not only suit your social needs but your current and future physical and health needs as well. Some of the questions you should ask yourself are things like do you need to be near hospitals, nursing care facility, close to shopping, grocery, or bus routes? Do you wish to be near your doctor or health facility? (such as the CHOMP (Community Hospital of the Monterey Peninsula) here in the Pebble Beach area). Following is a quick points list to help you in visualizing the pros and cons to both approaches when looking for Pebble Beach homes for sale. There are a lot of things to think about and plan when you are looking at a home that will provide you all the pleasure and comfort as you age. 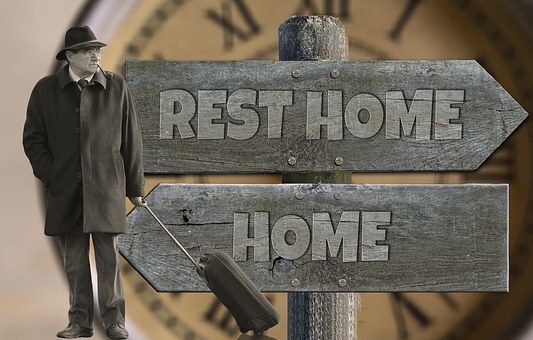 The ability to remain in your own home as you get older is preferable to most people, rather than to having to live in an Assisted Living or Nursing Home facility. This article has hopefully provided you some insight on how to find that home, whether you choose to build or buy. When you are ready to move ahead with your future be sure to contact Gregg Camp, SRES your local real estate broker and let him help you find that perfect Pebble Beach homes for sale, or perfect building site to create that comfortable oasis that will be your new home.